This Oval-Cut Tanzanite Diamond Wrap Ring in 14K White Gold is full of contemporary sophistication as it features both a stunning modern gemstone and a sweeping setting. This lively ring has an airy yet eye-catching silhouette, giving it look that's always fresh and perpetually elegant. 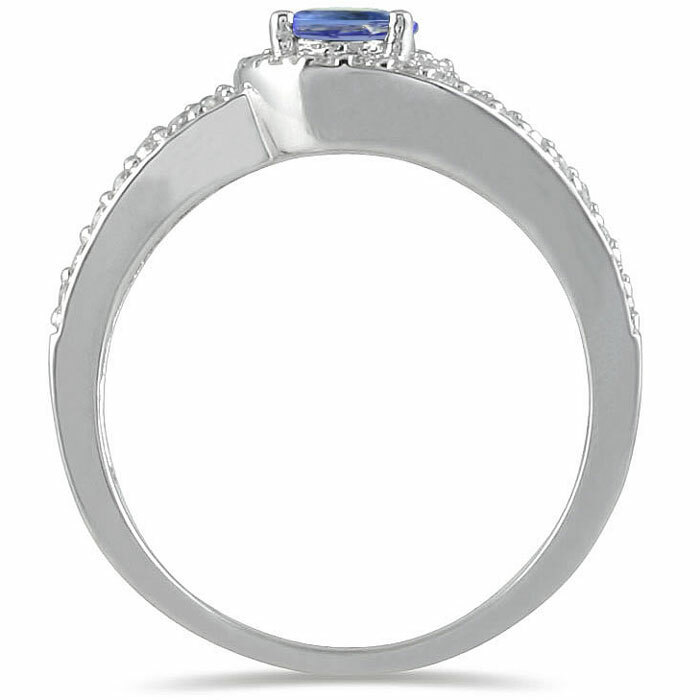 Serving as the focal point of this contemporary style is an oval-shaped tanzanite, 7mm high and 5mm wide. 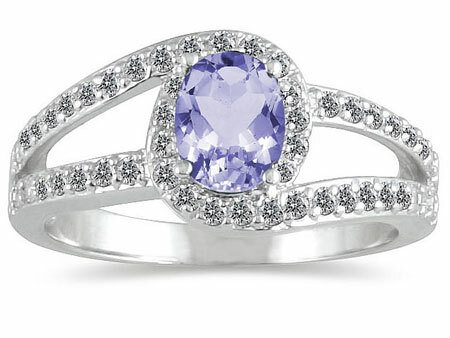 Weighing in at 0.90 carats, this gem provides a sizeable splash of purplish-blue sparkle that instantly draws the eye. This color is truly unique among gemstones, and it is a fitting hue for a gemstone that, since its discovery in the 1960s, has been found in just one small area of Tanzania, a mere five miles square. This intriguing tanzanite is upheld by a band of gleaming 14K white gold; this cool foundation divides into two as it approached the center gem and wraps around it like a tender embrace. A total of 0.36 carats of diamonds accent this lively ring, studding the band with sparkle when it splits and wrapping around the center tanzanite like an ocean wave. These colorless glittering gems highlight the gracefully curving form of this wrap ring, drawing eyes to its sophisticated shape. 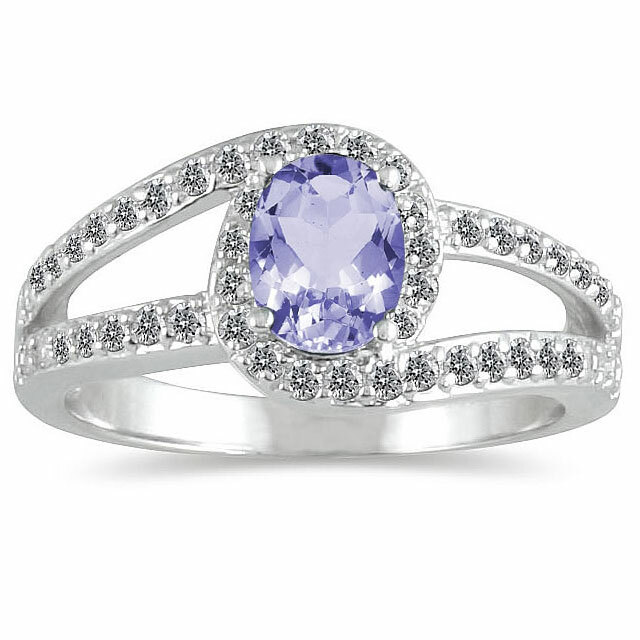 We guarantee our Oval-Cut Tanzanite Diamond Wrap Ring, 14K White Gold to be high quality, authentic jewelry, as described above.